Last November, I created Rustic Felt Christmas Trees and today I'm sharing the perfect fall version. 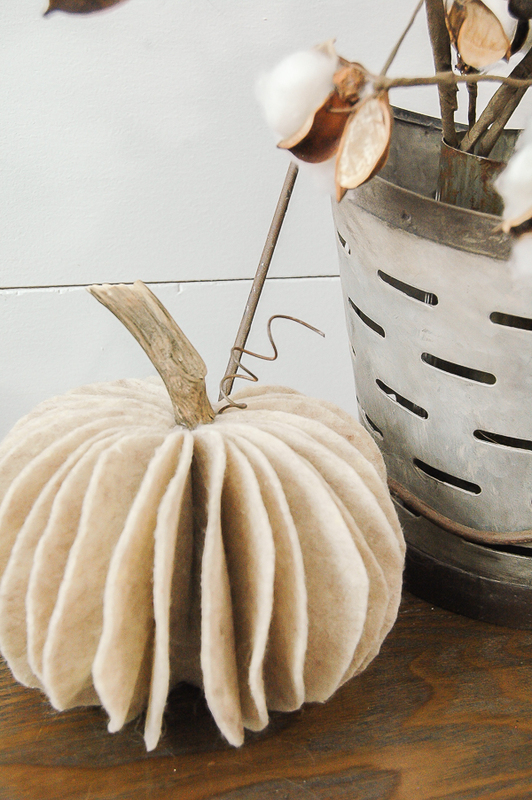 Using a few inexpensive supplies and free twigs from the yard these adorable pumpkins turned out to make the perfect addition to my fall decor. I followed the same concept as I did for my Rustic Felt Christmas Trees, so if you're looking for a full step by step photo tutorial you can check out that post. For those like myself who may be visual learners I created another video tutorial. White, neutral or orange. 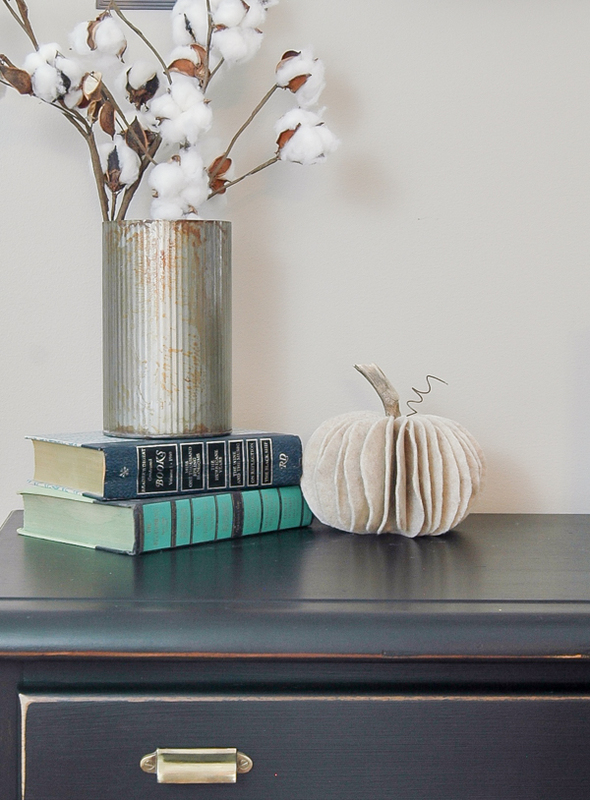 Whatever color you decide these little felt pumpkins are sure to make a great addition to your fall decor! Love the pumpkin! Unrelated question... your light switch plate caught my attention as I've been looking for ways to update my own. By chance, do you remember where it was purchased? These are so cute! They would look great on our entry table!! You are so awesome!!!!! I am so going to make these! 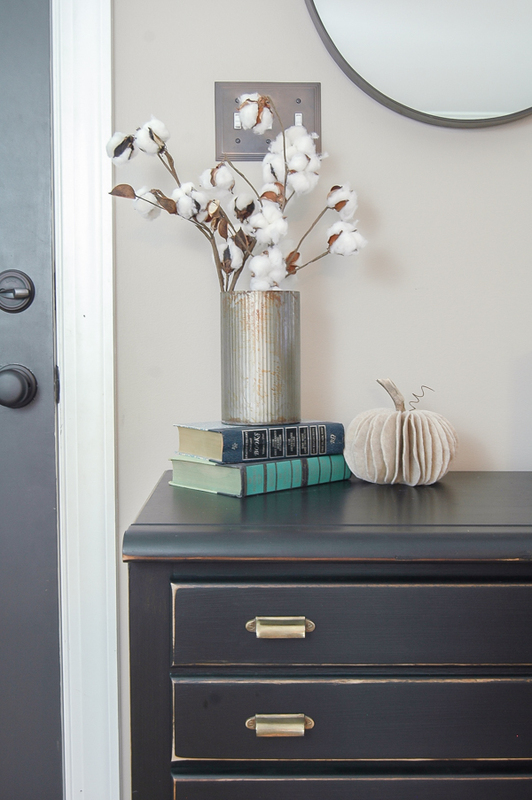 I love the brass rectangular pulls on the chest your felt pumpkin is sitting on. Can you please tell me where I can find them? I have a chest of drawers they would look beautiful on. Thank you! And love the pumpkin! 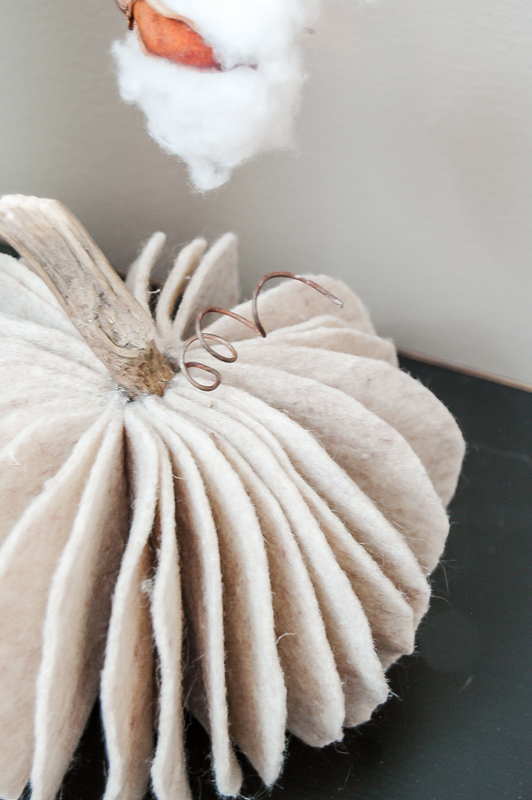 I plan on making some of your rustic felt pumpkins! How cute and simple. Love it!